Show your Soap Bottle with style! 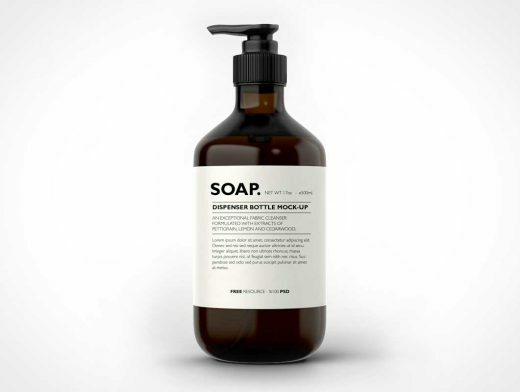 Create a Photorealistic Soap Dispenser Bottle display in few seconds. These PSD files uses the Smart-Object feature, so you can replace the mock-up content easily and quickly. The Smart objects used allows you to replace your contents for your own designs in few seconds, it’s easy! You just need to double-click the Smart-Object, paste your artwork, save, and you’re done. All PSD files layers are cleaned up, named properly and color coded for easy identification of layers designated to be edited by user. No problem changing shadow or product details.